Ever had a flat tyre while driving alone on the highway in the middle of the night only to find a missing wrench in the trunk? No more having to wait for a tow truck or struggle with the dirty hassles of changing a spare tyre thanks to the Tyre Sealer & Inflator. 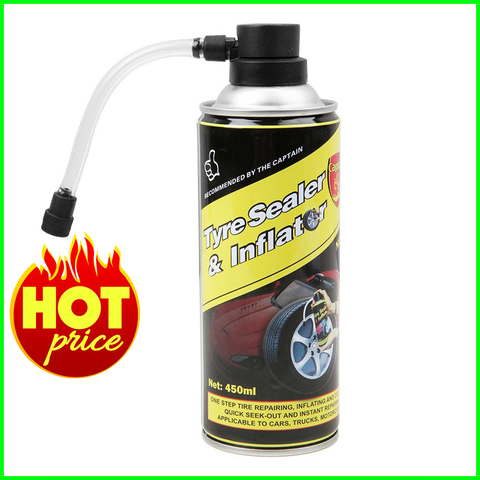 The Tyre Sealer & Inflator is the perfect equipment you need in times of emergency. 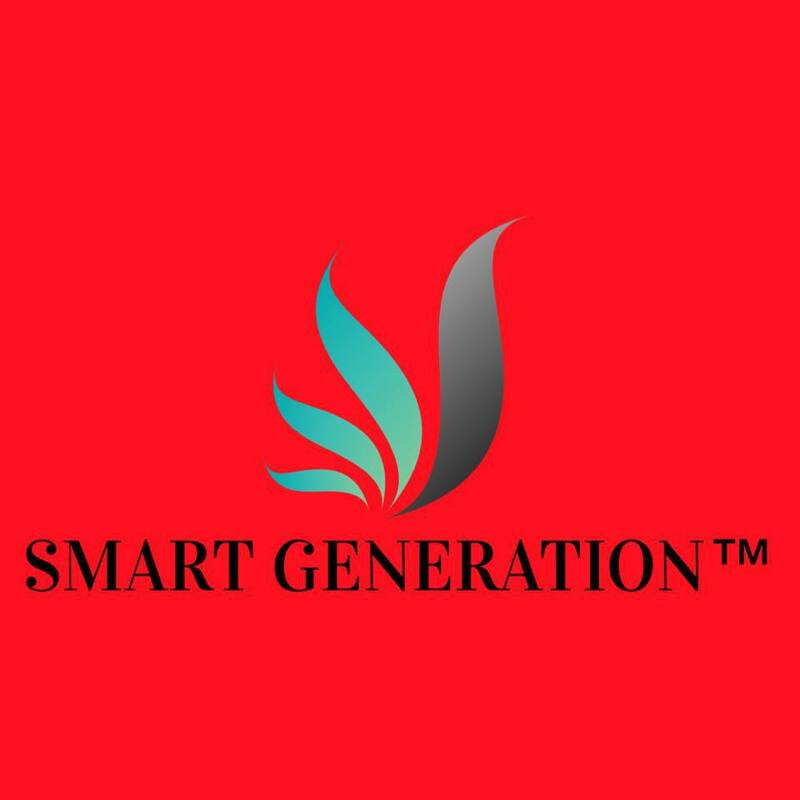 It is a one step sealing and inflating device in less than a minute. 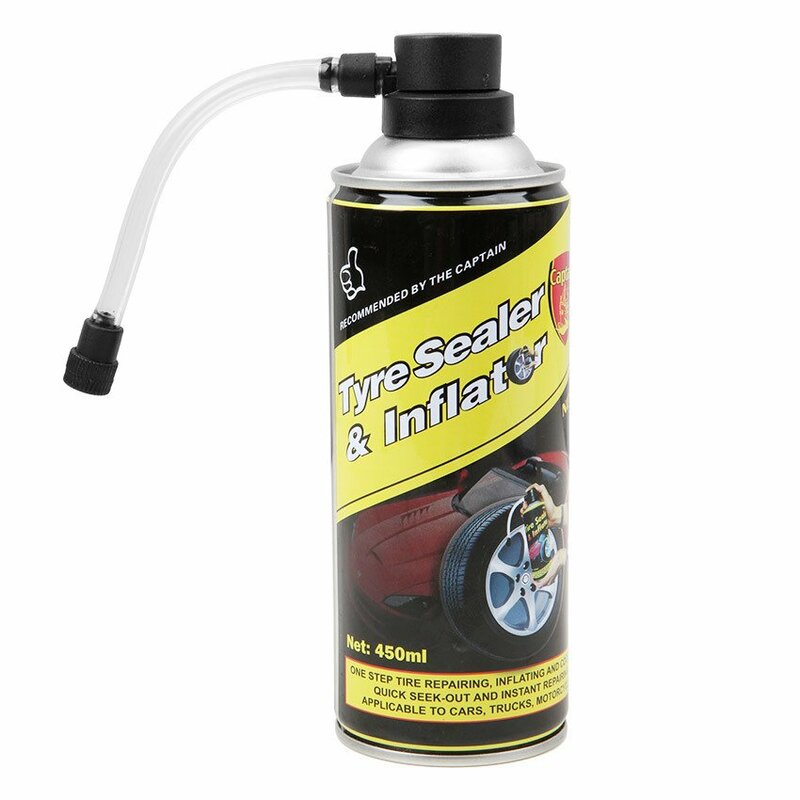 The microtechnology installed in the Tyre Sealer & Inflator seals the puncture from inside out. It is also safe, with an eco friendly and non-toxic formula. The formula contains latex for sealing and gas for inflating too. 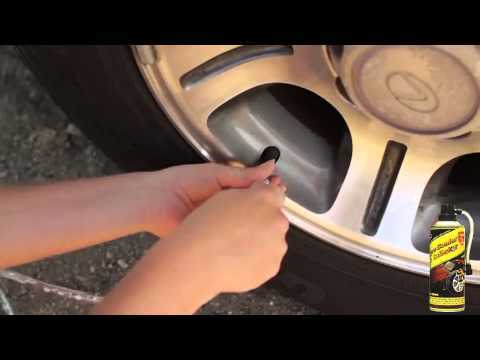 -First check your tyre for puncturing objects and remove if possible. -Then simply screw the seal and hose into the tyre valve stem. -Finally press down on the tab and watch as the puncture is sealed and the tyre inflated in a matter of seconds. 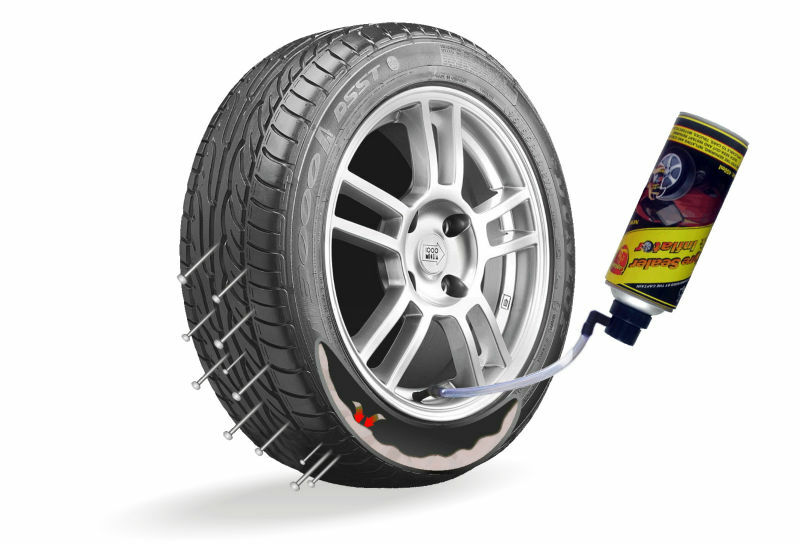 -The Tyre Sealer & Inflator is ideal for dangerous, poorly-lit conditions where the time consuming process of manually changing the tyres is hazardous. 1- if not use may keep up to 3 years. 3- After fixt the tyre wiht tyre sealer it can run up to 100km, therefore you may have time to seal the tyre at workshop. 4- Tyre sealer for Emergency use and not permanent seal.